Littleneck clams for sale at a market in New Zealand. 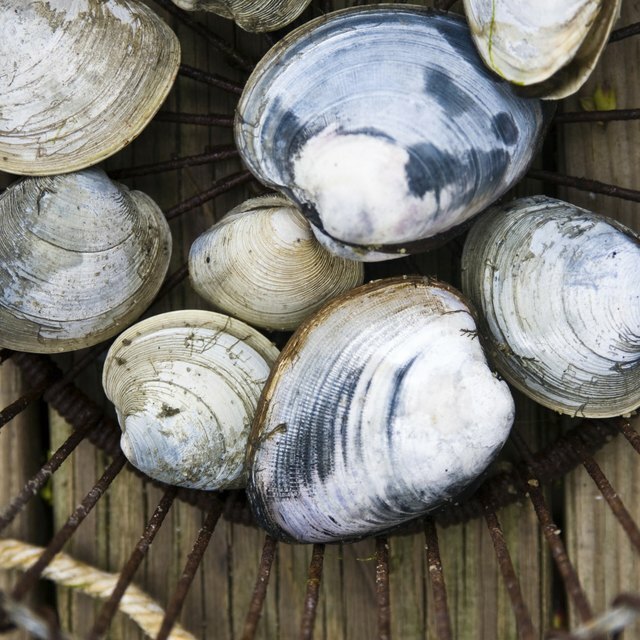 Littleneck clams, commonly referred to as cherrystone clams and steamer clams in some coastal areas, are moderately sized clams with a hard, grayish shell. Fresh littleneck clams can be purchased from most fishmongers, and steaming them is a simple, quick process. However, it does take several hours to prepare live clams for cooking, so factor that into your cooking time if you are in a hurry. Steamed littleneck clams are commonly served with a hot loaf of bread, melted or drawn butter, and a glass of dry white wine like sauvignon blanc. Soak the clams in a mixture of 1/3 cup kosher salt, 1 cup cornmeal and 1 gallon of water in a large stockpot or container for two hours. Place the clams in a colander in the sink and rinse them with cold, clean water. Scrub the clams lightly with a vegetable brush to remove any stuck-on debris. Rinse the clams once more and allow them to drain in the colander for 30 minutes. Melt 1/4 cup unsalted butter in the bottom of a steamer pot. Sauté the onions, celery and garlic in the melted butter until they are translucent but not browned. Add the white wine and bring the mixture to a boil over high heat. Add the clams to the steamer pot and cover the pot with a tight-fitting top. Reduce the heat to low and cook the clams for five minutes or until they have just started to open. Discard any clams that do not open. Remove the clams from the steamer pot with tongs or a slotted spoon and transfer them to a large serving bowl or individual serving plates. 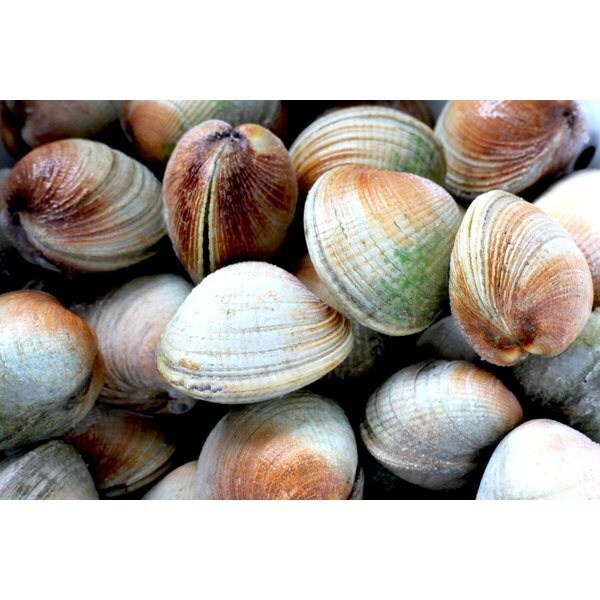 Serve the clams with melted butter and topped with fresh flat-leaf parsley if desired. The liquid left in the pan after removing the clams can be used for a variety of other recipes or consumed as a hot beverage, which is common practice in coastal towns known for clamming. It also makes a flavorful base for sauces and stocks.